Feel that cool fall air? 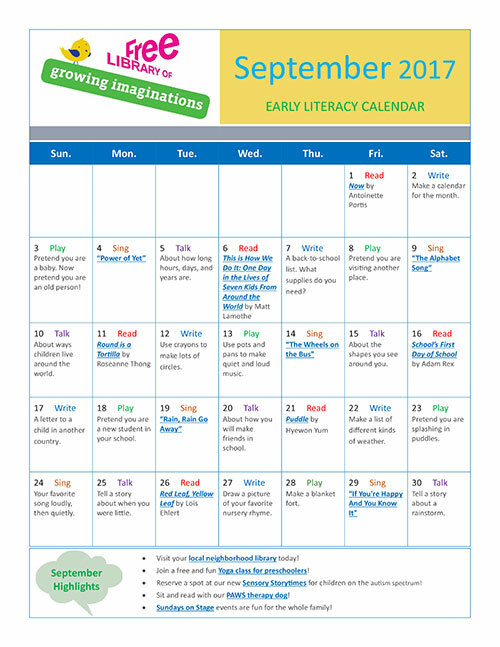 That means it’s September, and time for a new Early Literacy Calendar! 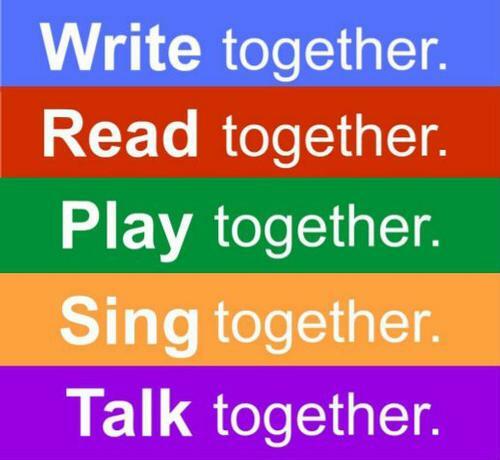 September is the time we head back to school (or start school for the first time) and begin to settle in for fall. 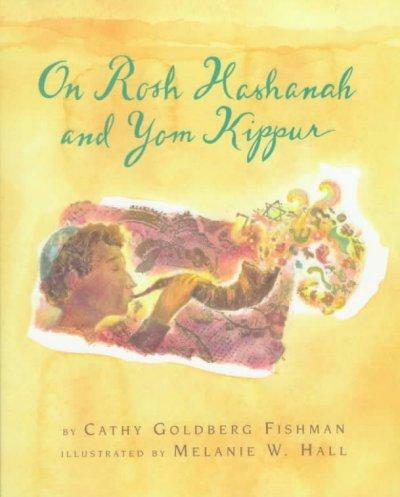 There's also lots to celebrat throughout the month including Labor Day on September 4, Grandparents Day on September 10, Rosh Hashanah, beginning on September 20, and Yom Kippur on September 30. 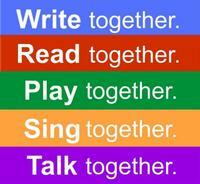 September is also Library Card Sign-Up Month! Remember that signing your child up for a library card helps to show them responsibility, as well as opening them up to the wonderful world of books and other great library resources. Rosh Hashanah, the Jewish New Year, begins on September 20 and is followed by Yom Kippur on September 30.